Coda Automotive, makers of the Coda sedan EV, laid off more than 50 employees last Friday, an anonymous source familiar with the company told PlugInCars.com. The layoffs included much of the company’s sales and marketing staff and could have been in response to lower-than-expected sales numbers. 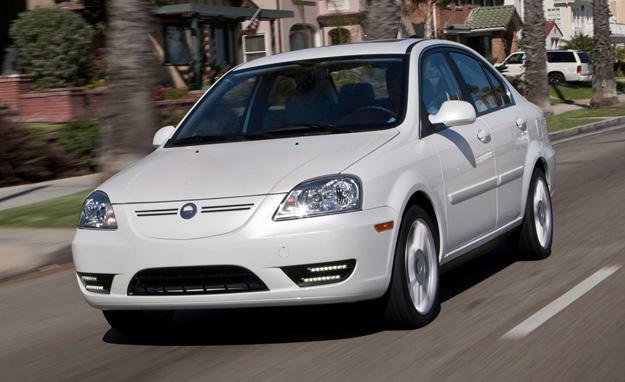 Coda has reportedly sold fewer than 100 sedans since they went on sale in March. The company started with a “soft launch” in California, but had planned to open 30 dealers in the Golden State, Florida, and Oregon. In September, when it announced the expansion, Coda said it had 1,000 orders for its EV. Of the 100 cars sold, 78 have been recalled by the National Highway Traffic Safety Administration because of side curtain airbags that may have been improperly installed. The sedan also scored a low two stars in the government’s frontal impact crash test, not the best way to instill confidence in potential customers. Coda envisioned its sedan as a simple, no-frills option for people who just want an electric car. It lacks the flashy exterior of the Nissan Leaf, but that also means it looks like an ordinary car. The chassis is imported from China, along with the batteries, and is assembled at a facility in Benicia, California. The car is essentially an electric version of the Haifei Saibao, a small sedan that went on sale in China in 2004. The Coda sedan starts at $37,250 (and is eligible for a $7,500 federal tax credit), has an 88-mile range, and is rated at 73 MPGe (combined) by the Environmental Protection Agency. The Nissan Leaf starts at $35,200 (and is eligible for the same $7,500 tax credit), has a 79-mile range, and is rated at 99 MPGe combined. Coda has talked about introducing a second model, built entirely in China, for 2014. As part of a partnership with Great Wall Motor Company, the car would be sold as a Coda in the United States and as a Great Wall in China.